Information about Canvas tools such as Rubrics, Peer Review, Turnitin, Gradebook, and SpeedGrader. Canvas recently made some updates to its system. One of those updates, involved adding the course navigation menu to the Grades page. 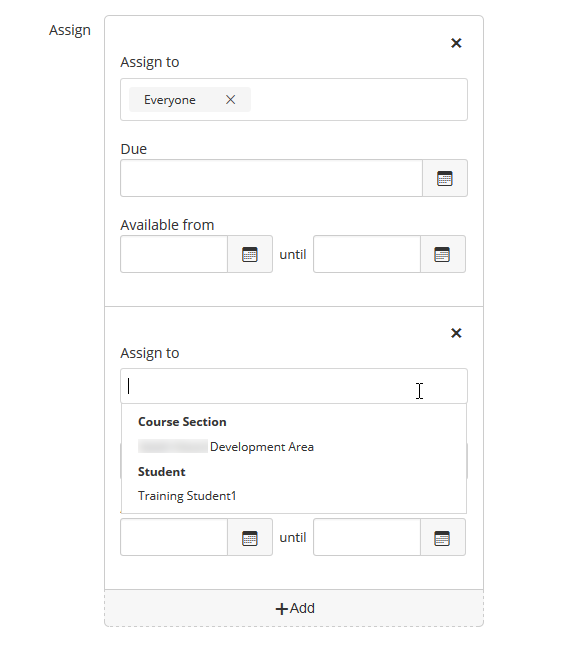 With the addition of the course navigation menu to the Gradebook, you and your students can easily access other areas of the course. To contract or expand the navigation menu, click the button next to the course breadcrumbs (see screenshot below). Do you have an assignment that requires students to submit multiple files? This is not an issue if the assignment doesn’t have Turnitin enabled. By default, Turnitin doesn’t accept multiple file. When Turnitin is enabled, only one file is able to be submitted to an assignment by a student. We don’t want to discourage you from using Turnitin for assignments, so we’re providing you with a couple recommendations when your assignment requires the submission of multiple files. Create an assignment with Turnitin enabled for each file the student needs to submit. Ask students to combine their files into one file to submit. Please contact LDT with questions about Turnitin and/or Canvas. When setting up assignments or quizzes in Canvas, you can assign an assignment or quiz to everyone and/or individual students. This feature can be helpful if you have a student athlete who will be absent for an event and needs to submit an assignment or quiz early. 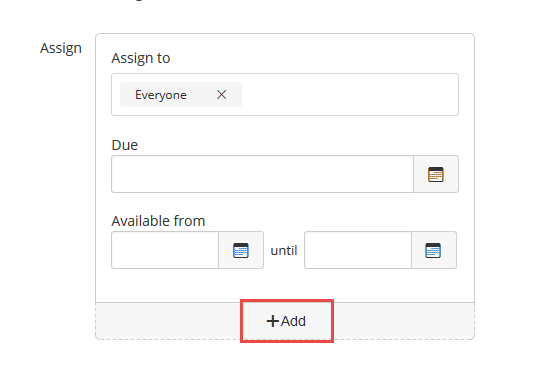 Follow these steps to add an additional due or availability date to an assignment or quiz. 1. In the Settings section of Assignments or Quizzes, click + Add. 2. Click in the Assign to box, and choose a student(s). 3. Add new Due and Available from dates. You can preview quizzes in the Canvas desktop version. Previewing a quiz allows you to take a quiz as if you were the student, including submitting the quiz. Don’t worry, an official quiz submission isn’t created in Canvas. For file upload questions, you can simulate uploading a file, but the actual file is not uploaded into the quiz. You can absolutely use Firefox to grade items in SpeedGrader. Chrome is preferred, but there are plenty of faculty who use Firefox without any issues. There are a couple things to keep in mind when using Firefox for grading. To avoid losing any annotations, click off the comment and onto the screen before moving to the next student. When entering a grade, make sure you see the page refresh before moving to the next student. When you add annotations in SpeedGrader to a student’s submission, you can view if and when the student has viewed the feedback. Students can view feedback by clicking the View Feedback button from Grades. Please note that you can only add annotations to specific file types, such as Word and PDF documents. To view the feedback, students click Grades, and then the assignment.